Dr. Hoffman has been offering exceptional dentistry in Lincoln, NE for many years. 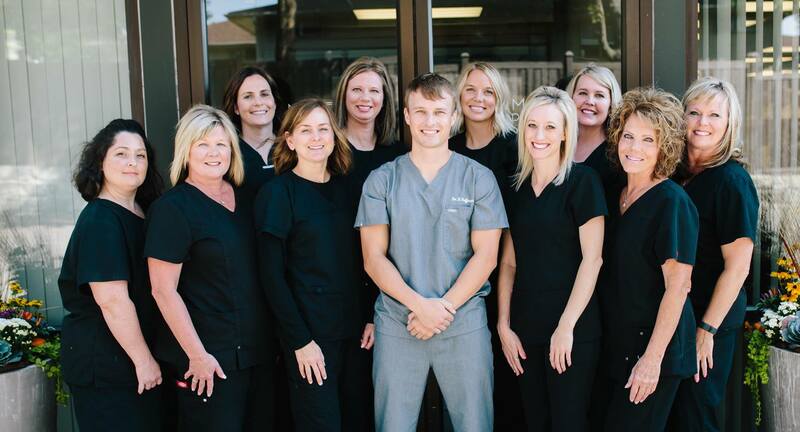 Dr. Hoffman along with his experienced staff are dedicated to providing each patient with exceptional service and the highest quality care, ensuring that everyone leaves with a beautiful smile. We are proud to be the best at what we do. We use the highest quality materials available, employ the best staff and constantly update our skills. A strong commitment to continuing education keeps Dr. Hoffman and staff on the leading edge of dentistry. We choose to focus on solutions rather than problems when addressing patient’s needs and make it a priority to keep costs fair and appropriate. To learn more about how we can make a difference in your life, contact us today. From the moment you walk into our office, you will feel as part of our family. Collectively, our staff has over 100 years of experience working together to provide the highest quality of care for our patients. Our seasoned hygiene program utilizes state of the art equipment as part of a thorough preventative health care program. Your hygienist will focus on maintaining your oral health and preventing disease through education and services, including routine cleanings, oral cancer exams, sealants, periodontal cleanings and fluoride treatments. Preventive care will help you to maintain a healthy smile for a lifetime. The entire team that works with providing a caring, understanding and comfortable atmosphere. We have known many of them for most all of the years we have been patients. Thank you for all of your excellent treatment and care that you have provided to our family! Each of you are good friends!